Sr. Project Assistant, Project Technical Assistant & Others. Skilled and experienced applicants are advised to forward online application to given address to place for offered positions. Full knowledge applying posts having individuals must apply by sending online application form. There may be interview as per availability of candidates. Energetic applicants will have to visit the Official website of IIT Bombay to fill the application/ bio data format to take part in job schedule. 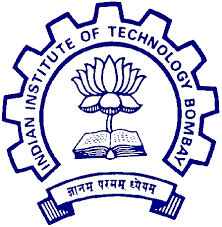 Further supporting details in association with way to apply comfortably for IIT Bombay Recruitment are shown below so that appliers may apply easily for good career option. Aspirants, who are eligible, need to submit application latest by dead line which is 13 February 2019 with all credentials. After last date no form will be accepted. Other chances of careers in Maharashtra will be available for all the applicants of this page after visiting this page daily. Candidates can directly visit the official website of organization that is www.iitb.ac.in and don’t forget to visit this article daily. Best of luck to all willing candidates!! Other details are given below by the effort of entire team of the web portal. Rs. 30,000 – 42,000 + Rs. 4000 Out Of Campus Allowance (if applicable) p.m.
Rs. 40,000 – 56,000 + Rs. 5000 Out Of Campus Allowance (if applicable) p.m.
Rs. 18,000 – 26,000 + Rs. 2500 Out Of Campus Allowance (if applicable) p.m.
Rs. 50,000 – 70,000 + Rs. 6000 Out Of Campus Allowance (if applicable) p.m. Selection Method: Short listed candidates will be called for Interview. No TA/DA shall be payable and the candidates are required to make necessary boarding and lodging arrangements on their own. Read complete details of above post. Fill the online application forms before last date.